Road to CCNP !!! : Cisco Small Business Router SRP527W web access bug?! Cisco Small Business Router SRP527W web access bug?! 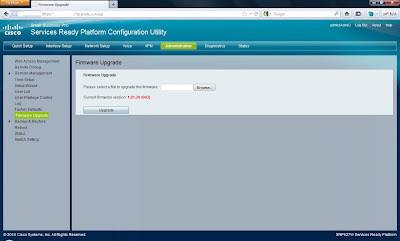 I'm trying to configure the newly install Cisco Small Business router SRP527W. This router is provide by one of Malaysia ISP, but funny is they didn't test it out the router before they decide to use this model. By upgrade latest firmware still unable to solve it. Hope Cisco notice this web access bug leakage.